Isn’t it time you discovered North America’s most remarkable wonders for yourself? 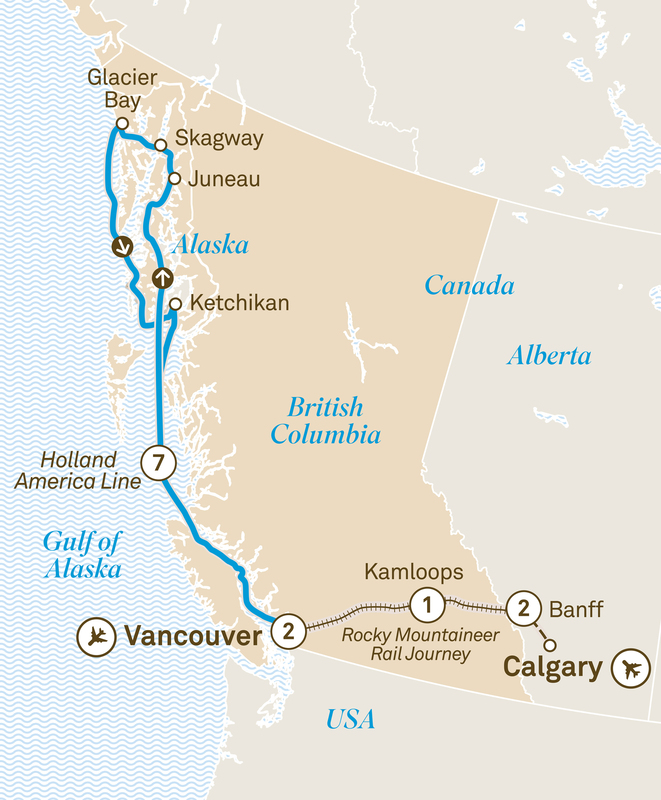 If you’re time poor, but still wish to experience the wealth of wonder available through a Scenic journey of Canada, consider an itinerary that showcases the magnificent Rocky Mountains, as well as a seven night Alaskan cruise that takes you through the icy wonderland of America’s extreme north. Those are just the main features of an itinerary that also takes you through wonderful Vancouver, among the world’s most liveable cities, as well as Banff National Park, one of Canada’s most iconic destinations. Welcome to the Canadian Rockies, where your journey into wonder begins. Upon arrival into Calgary Airport, transfer by scheduled transportation to Banff where you’ll meet your Tour Director and fellow travellers. Feel like royalty as you check into your mountain or valley view room for a two night Special Stay at the Fairmont Banff Springs, the ‘Castle in the Rockies’. Your choice of dining options this evening is truly spectacular.